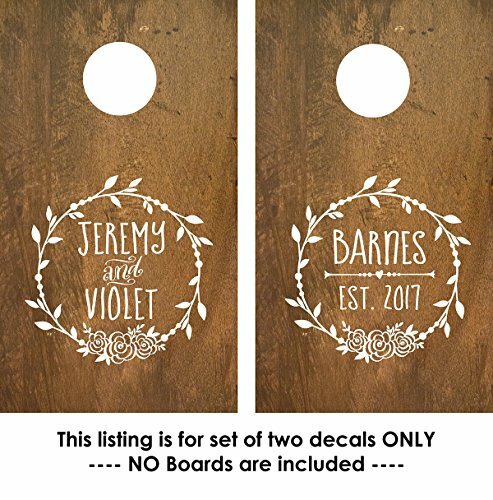 What a great way to personalize your corn hole game! Perfect for an outdoor or rustic wedding. This listing is for a set of 2 personalized decals (boards ARE NOT included) We suggest sealing with a coat of polyurethane for extra longevity. Instructions included. Oracal 651 Matte Finish Vinyl - Looks like it's painted on! If you have any questions about this product by Old Barn Rescue Company, contact us by completing and submitting the form below. If you are looking for a specif part number, please include it with your message.